I love scary stuff. Movies, haunted houses, books and stories, all of these – especially if it’s a particular month in the fall – are right up my alley! In fact the thing that got me into the idea of film making is the one movie that, to this day, still scares me to the core: The Exorcist. 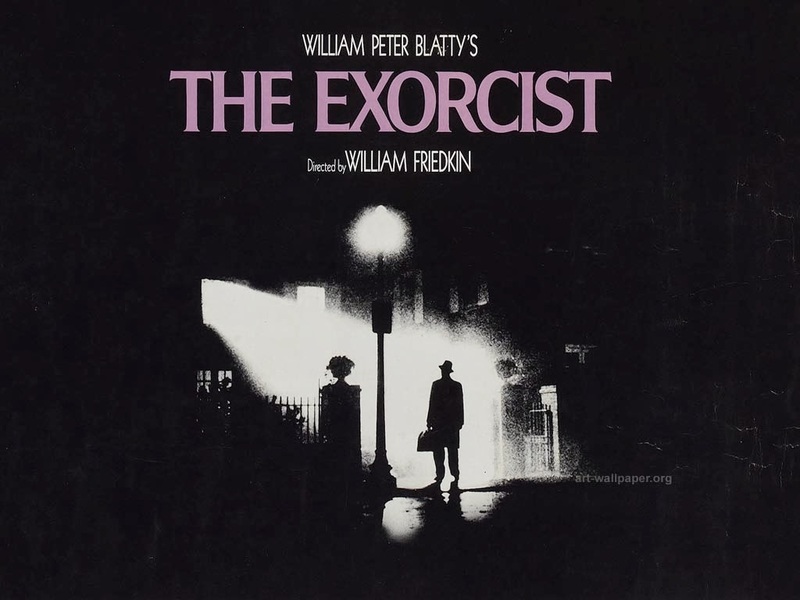 From Wikipedia: The Exorcist is a 1973 American horror film directed by William Friedkin, adapted by William Peter Blatty from his 1971 novel of the same name. The book, inspired by the 1949 exorcism case of Roland Doe, deals with the demonic possession of a 12-year-old girl and her mother’s desperate attempts to win back her child through an exorcism conducted by two priests. The film features Ellen Burstyn, Max von Sydow, Jason Miller, Lee J. Cobb, Linda Blair, and (in voice only) Mercedes McCambridge. It is one of a cycle of “demonic child” films produced from the late 1960s to the mid-1970s, including Rosemary’s Baby and The Omen. The Exorcist was released theatrically in the United States by Warner Bros. on December 26, 1973. The film earned 10 Academy Award nominations, winning two (Best Sound Mixing andBest Adapted Screenplay), and losing Best Picture to The Sting. It became one of the highest-grossing films of all time, grossing over $441 million worldwide. It is also the first horror film to be nominated for Best Picture. The film has had a significant influence on popular culture. It was named the scariest film of all time by Entertainment Weekly and Movies.com and by viewers of AMC in 2006, and was No. 3 on Bravo’s The 100 Scariest Movie Moments. [dead link] In 2010, the Library of Congress selected the film to be preserved as part of its National Film Registry. In 2003, it was placed at No. 2 in Channel 4‘s The 100 Greatest Scary Moments in the United Kingdom. The song Tubular Bells sets me on edge. The movie plays on the deepest “fight or flight” instincts in my brain. The idea that some entity could invade my body and do horrible things triggered in my brain at an early age and possession became the one thing that truly scared me through my childhood, as did the things associated with that idea. I ate up stories about Ouija boards and anything paranormal that people could tell me. In fact, when I was a pre-teen, I was convinced that I’d grow up to become a professional parapsychologist, busting ghosts and finding proof of things from beyond! Obviously that didn’t happen, but all that spookiness still had an impact. My fear of The Exorcist caused me to be a bit obsessive about it. I felt that if I understood every nook and cranny of the movie, and all of the aspects of its creation, it might help me not be as scared of it. I read up on it, watched every documentary that existed (I especially enjoyed the one that came in the 25th anniversary box set: “The Fear of God”), and just generally cataloged every scrap of information that existed. I have a great deal of respect for the making of the movie. The sets were chilled to get authentic breath fog during the exorcism, the sound of bees in a jar were laid low into the sound mix during scenes to build tension, practical effects and use of light and shadow helped to build an atmosphere that sets the viewer on edge. Director William Friedkin even shot off guns during scenes to scare the actors. Horribly abusive, maybe, but it was a dedication to storytelling that produced amazing results. Because of the care put into the film it still holds up today. In fact even writing this entry has me all anxious and set on edge. It has been years since I’ve watched this movie and just the pictures and little bits that I’ve seen to add to the post has me nervous and jumping at every noise. I haven’t even been able to get up the gumption to watch the trailer embedded in this post. It is this effect that I aspire to as a storyteller. Maybe not scaring the pants off of people, per se, but making a permanent impression and doing work that is as powerful decades later as it is when it’s released. The Exorcist was a triumph that spawned less effective sequels but has made an indelible mark on popular culture. It is spoofed, imitated and has crossed over into different mediums. My friends over at All Puppet Players are doing a puppet version in Arizona. Follow the link to learn more! It has become more than just a movie. I’ve actually scared myself. So I’m going to go, but I hope you all have a happy Halloween! I know I will, but I probably won’t be watching The Exorcist. Wanna watch The Exorcist or Exorcist related content? Why not try Amazon Prime? Television and movies and free 2-day shipping!